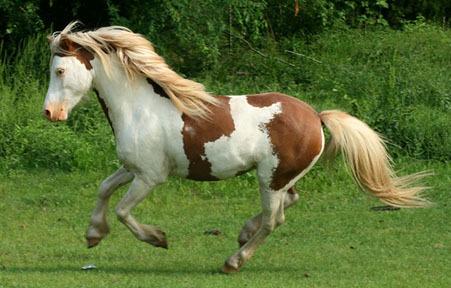 An extremely rare Section A Welsh stallion with a splash pattern. Owned by The Promise Welsh Ponies, photo courtesy of Beth Wieland. Sabino may also be present, helping create the lacing, roaned patches, ragged edges and adding to the expression of white.